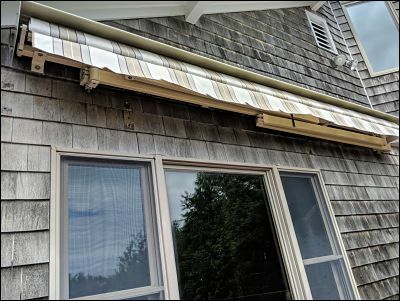 This retractable awning projects out over 10 feet, yet when rolled up is very compact. A large retractable awning, when rolled to the “In” position is both compact and unobtrusive. Most people won’t even look up to notice that its there. 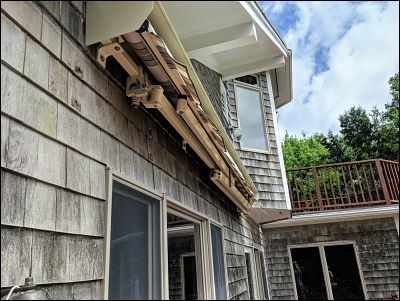 The same retractable awning when rolled out provides over 10 feet of coverage away from the house. 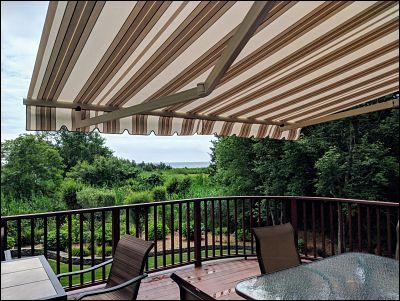 When rolled to the “Out” position, this same retractable awning goes from being compact to shading an entire sitting area on the deck. This provides ample shade to sit and enjoy the view of the outdoors. Rolled back to the “In” position.